This is part two of a 2015 Ohio Football roster breakdown. Part one, featuring the defense, can be found here. 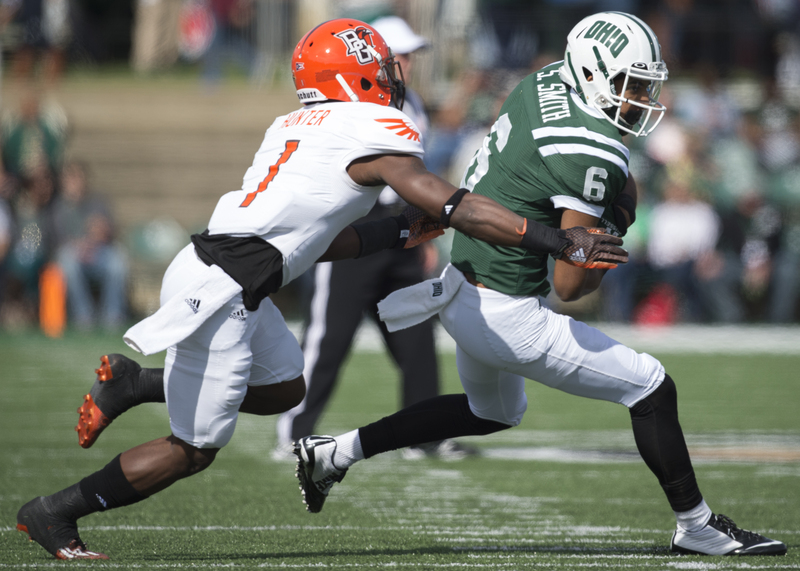 The 2014 Ohio Bobcats offense could be described as stagnant, boring or frustrating. 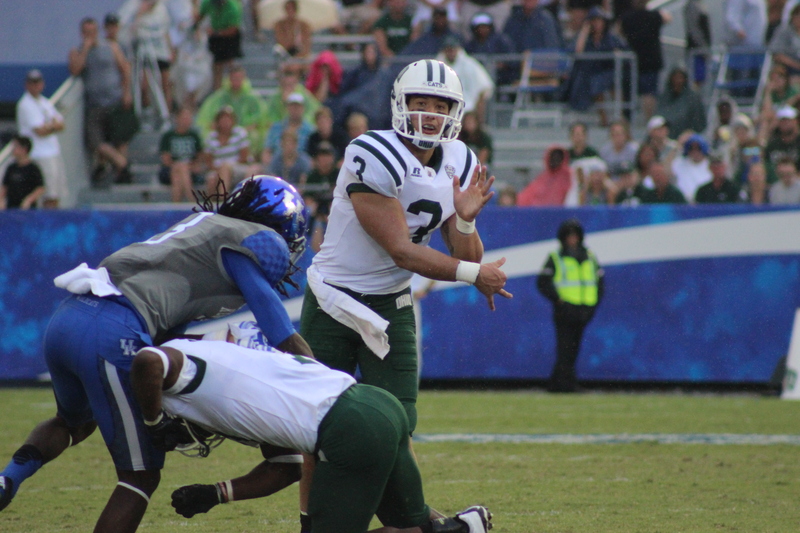 Injuries and inconsistency resulted in Ohio missing a bowl for the first time in five years. The Bobcats have their hopes high for 2015, returning multiple starters at nearly every position. Ohio was picked 2nd in the MAC East Preseason Poll, and its experience is a big reason why. Mike Lucas: (SR) 3-year starter, 2014 Phil Steele’s Midseason All-MAC 2nd Team. I chose to begin with the O-line because their play will directly affect Ohio’s chances at winning ballgames. After struggling early in 2014, this group stepped up their level of play in the second half of the season. These five returning starters will be tasked with clearing lanes for A.J. Ouellette and Daz’ Patterson, as well as protecting Ohio’s quarterback rotation. Hopes are that continuity and experience will translate to on-field success. Ohio finished 102nd in the FBS last year in total offense and the lack of consistent receiving play was a big reason why. Luckily for the Green & White, three of its top four wideouts from 2014 return. Sebastian Smith and Jordan Reid are likely to line up out wide with Brendan Cope in the slot. Smith and Cope could serve as red zone threats, standing at 6-foot-3 and 6-foot-2 respectively, but look for Reid to lead the team in receptions. His sharp route-running and good hands are ideal for Tim Albin’s short passing scheme. This is where things get a little sticky. Would-be starter Troy Mangen injured his knee early in fall camp and the four remaining tight ends on the roster combine for 0 career receptions entering the season. Heitzman will fill in for Mangen. He earned three varsity letters in four years at Michigan, but after Jim Harbaugh was hired to replace Brady Hoke, the Hillard Davidson graduate chose to transfer and use his final year of eligibility in Athens. Heitzman enters the year with two career receptions, including a touchdown. Ouellette, a former walk-on, burst onto the scene in his freshman season, but expect Patterson to be a bigger part of the offense this season. Daz’ wasn’t at 100 percent for the majority of last season and it limited his production. Patterson’s shake n’ bake style will be a nice compliment to Ouellette’s hard nosed rushing. Their combination will spearhead Ohio’s offensive attack. 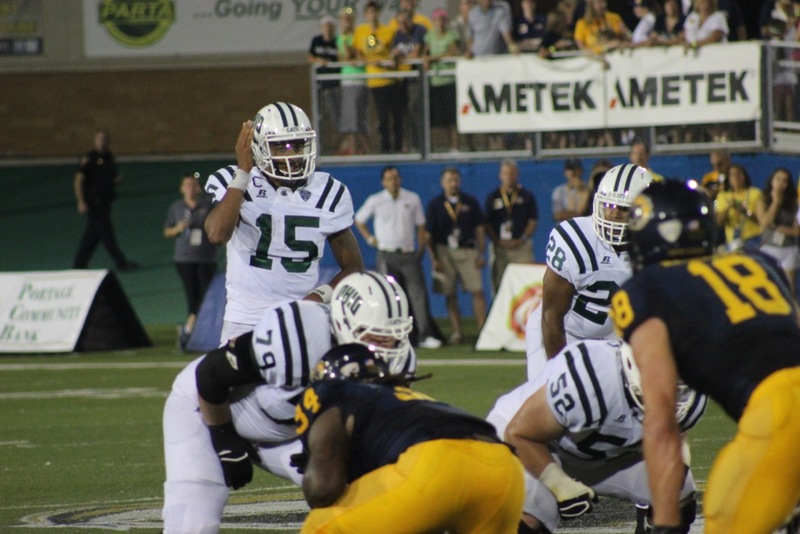 Vick is the starter for now, but Frank Solich has stated that both signal callers will play. Sprague displayed good pocket presence and an excellent ability to keep the play alive when he started five games last season. Vick has the superior arm and can also be a threat on the ground. Solich says he named Vick the starter for his consistency, but if that consistency ceases, Sprague will see more action.